A total of some 50 works by sculptor Um Tai-jung are being exhibited at both branches of Arario Gallery in Samcheong-dong, central Seoul, and Cheonan, North Chungcheong Province. Um is one of the nation’s first-generation modern sculptors, who worked exclusively with metals. Born in 1938, Um graduated from the Department of Sculpture in the College of Fine Arts at Seoul National University. Um’s interest in metals has continued since the 1960s, when he began to devote himself to metal sculptures. Arario Gallery’s latest exhibitions include Um’s earlier works as well as those produced between 2017 and 2018, commissioned by the gallery in 2017, highlighting the artist’s oeuvre. The works have been divided into two separate venues. The exhibition at the Cheonan space consists mainly of the artist’s large sculpture works. The fourth-floor exhibition space in Cheonan displays major steel and copper sculptures produced between 1969 and 2010, such as “Energy 69, No.1” (1969) and the “Bronze-Object-Age” series (1997). 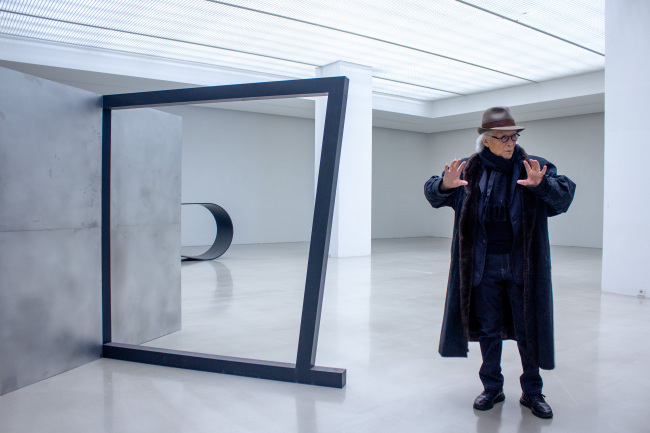 His large-scale aluminum works created since the 2000s are displayed on the third floor. Meanwhile, Um’s 2D works are being exhibited at the Samcheong-dong branch, along with large- and small-sized metal sculptures. This includes “Crack” (2000-2002), a small-sized drawing series featuring repetitive lines drawn with an ink pen on white paper. “Um’s drawings -- through drawn on paper -- are in line with his sculpture works in terms of the methodology he uses,” Arario Director Henna Joo said. 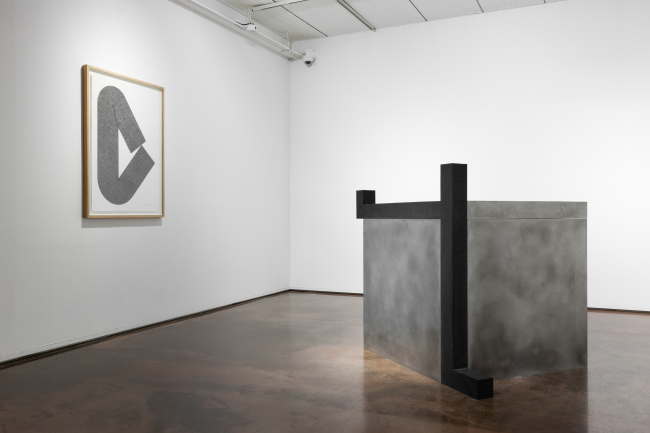 “His sculpture making is often accompanied by physically taxing and repeated movements, and he approached his drawings in more or less the same way. In the same way that he polishes and rubs off metals to achieve the color and texture that he wants, he has used repeated and meticulous pen strokes to achieve the texture,” Joo added. Um’s works are being exhibited through Feb. 24 at Samcheong-dong, and May 12 at Cheonan.